The animals below are currently looking for their forever homes. Perhaps that home is with you! Cassidy & Aspen are young Pekin ducks. Cassidy is the crested Pekin and we believe that he is the male. These two were abandoned at a pond in an apartment complex. The caring citizen said that the lady who abandoned the ducks stated that they were an Easter gift that became too overwhelming. Citrus Heights Police Department turned them over to our care. ​They have grown into a beautiful, healthy, and happy pair! 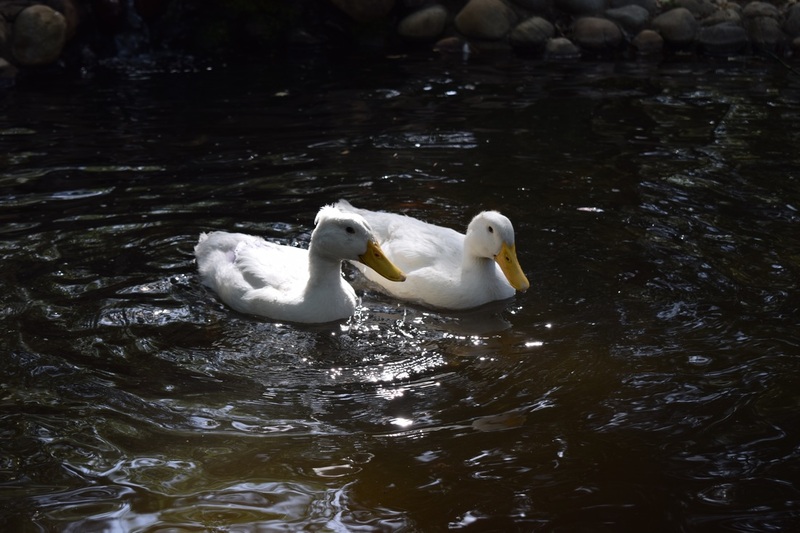 These ducks are strictly pets and are not to be used for breeding, resale, food, and so forth. ​No adoption fee to approved home. Bandit is a very special boy to us. He was our first canine intake as an official organization. Bandit was surrendered to us after his owner noticed a family member baiting his dog with Bandit as a mere puppy of three months. He came to us as quite the mess but he has grown into a wonderful dog. Sadly, Bandit has not adjusted well to the relocation of our new home and shared property with the organization's sanctuary. Our property has livestock fencing around the perimeter but he would be better kept in a fenced area proper for a canine. Bandit would do best in a residential home or apartment. He can be high energy when you want him to be and yet he will lay around the house like a big cuddly blob if you let him. He will sound off as a fierce protector but he obeys commands. We are advising against a farm or ranch style home. He displays too much excitement over chickens and occasionally experiences anxiety when horses are near his enclosure. Since Bandit has been with us for almost 5 years we know a lot about him. Bandit is great with resident cats and is a true family dog. 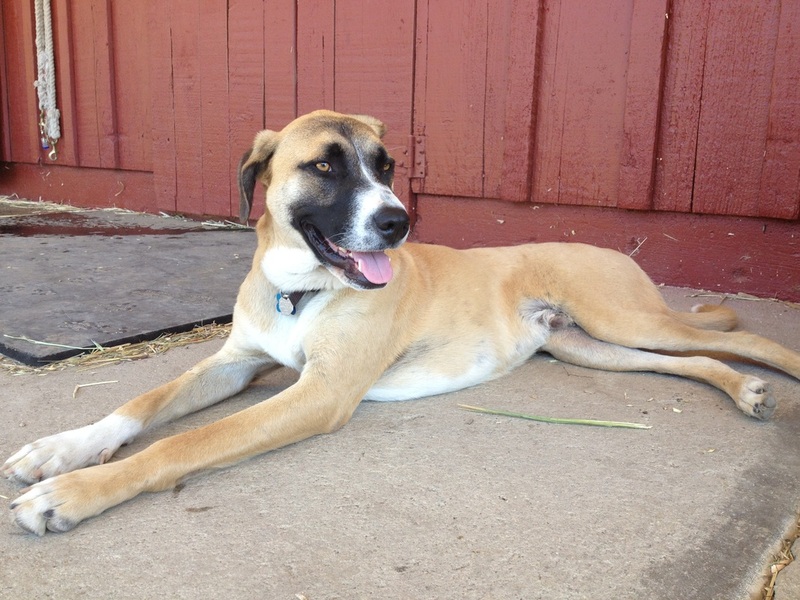 He is very gentle and patient with babies and has been around kids of all ages. Bandit is calm enough to live with a senior but he can be fun and athletic when needed. Bandit would make a wonderful jogging partner or hiking buddy. His personality isn't ideal for the dog park but he does have a lot of friends. He seems to be more at ease with small dogs or large dogs that are calm. Bandit can be a little overzealous during playtime, therefore, an owner that is comfortable reading canine behavior is ideal. Bandit is current on all vaccinations, chipped, and neutered. Fee waived to approved adopter. Application, home check, and meetings required. 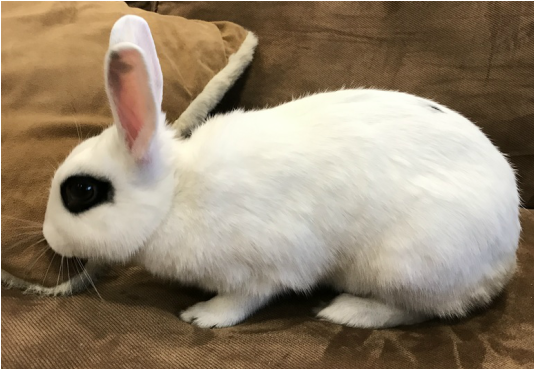 Maybelline is an adventurous female rabbit of approximately 5 months of age. She loves to explore and would do great indoors or outdoors. No adoption fee for approved home. 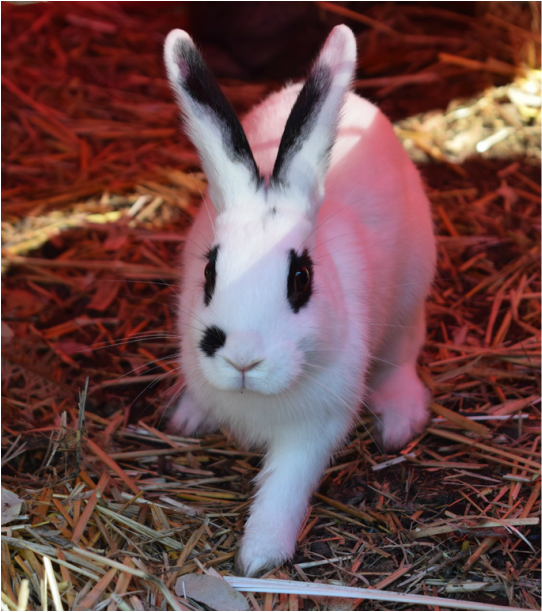 Spot is a charming and active juvenile male rabbit of approximately 6 months. He would make a wonderful companion indoors but he is happy outside as well. Adoption fee waived for approved home. 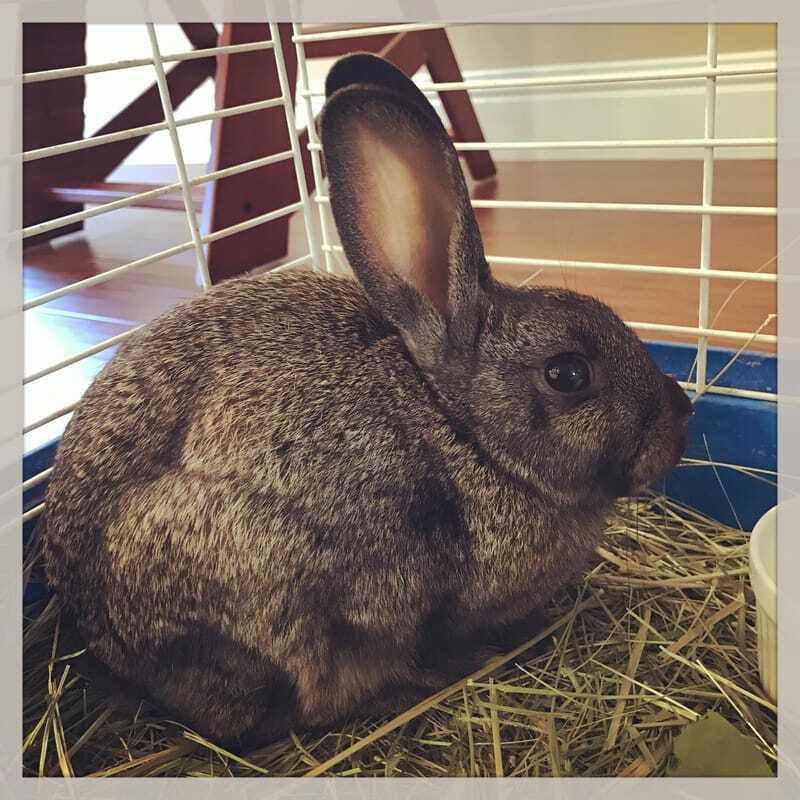 Pixel is a sweet juvenile male rabbit. He's inquisitive, gentle, and flat out adorable! He is very happy outdoors, however, he could be trained to live indoors. Adoption fee waived for approved home. Starting November 2016, we have decided to make animals available without adoption fees to approved homes. Our only concern is that they end up in a responsible and loving home. Approved application required, certain animals must have a home check and/or meeting. Occasionallly, we might have a fee associated with an animal that has had certain veterinary procedures or likewise. At this time, we do not have many animals available for adoption. ​Please visit County Animal Services or another local rescue group. ​Thank you for choosing to adopt instead of shop! Rehabilitation and Adoption News Page!